Savvy Spending: Meijer mPerks: FREE Nestea 6 pack! Hurry and clip and use by 5/5! Meijer mPerks: FREE Nestea 6 pack! Hurry and clip and use by 5/5! 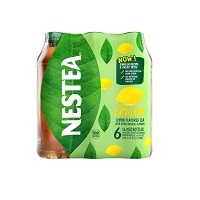 Meijer mPerks users can log into their account to clip a coupon for 1 FREE Nestea ready-to-drink 6 pack .5 liter bottles (including lemon, peach or raspberry)! Hurry and clip this coupon before it reaches its limit and redeem it by Friday, May 5!